Military families are finding more options for higher education at Unitek College of California. G.I. Jobs magazine recently named Unitek College’s Fremont campus to its 2013 list of Military Friendly Schools®. Not every institute of higher education is qualified to be a military friendly school. G.I. Jobs reserves the prestigious title for just the top 15 percent of VA-approved, accredited colleges, universities and trade schools that fully support the G.I. lifestyle. The school earned its military friendly stripes by providing exceptional educational programs and superior financial assistance for qualified U.S. service veterans and spouses. Unitek College is a nationally accredited school and particularly well-suited to military lifestyles. 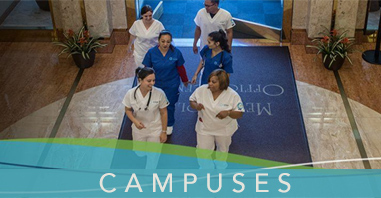 Specific Unitek College courses directed to veterans and G.I.s would include Medical Assistant (MA), Pharmacy Technician (PT), Vocational Nurse (VN), Registered Nurse (LVN to RN), LVN to RN Transitional Associate Degree Nursing Program (ADN) and Bachelor of Science in Nursing (BSN). Unitek College also offers training in the areas of Accounting, however, this programs is not yet eligible for VA funding. 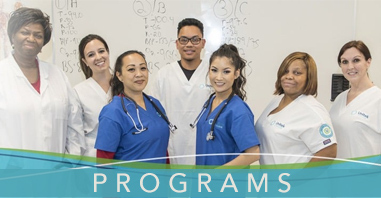 Veterans looking to complete LVN training or LVN to RN training will find a wealth of educational resources and financial assistance at Unitek College. The school is wholly dedicated to the success of its students. In fact, an astonishing 92 percent of nurses who complete Unitek College’s RN course will also pass the NCLEX (National Council Licensure Examination) — more than any other non-profit private vocational school in the area. Abundant G.I. benefits are available to help service personnel and veterans stay in school, and Unitek College is a champion in this field. For example, the Post 9/11 G.I. Bill provides housing and financial support for qualified veterans and their families. Another helpful benefit is the Montgomery G.I. Bill, which provides up to 36 months of financial assistance toward higher education. Military survivors and dependents may benefit from the Dependents Education Assistance program, which can provide up to 45 months of financial funding for eligible students. Additionally, Unitek College proudly participates in the Yellow Ribbon Program for G.I.s, wherein tuition monies donated by the school are matched by the Veteran’s Administration. It is hard to imagine a more supportive environment for military families than Unitek College. Qualified G.I.s and veterans who desire a quality education can find a wealth of on-campus resources, expert guidance and financial assistance there. Unitek College well-deserves its designation as one of the top military friendly schools in the U.S.